Join the artists for a conversation after the performance. 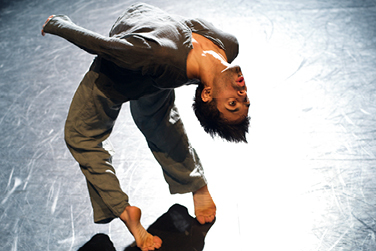 A major talent on the international dance scene, Aakash Odedra is rapidly accumulating wide acclaim. With training in traditional Indian dance disciplines Kathak and Bharata Natyan, Odedra’s unique multifaceted style is graceful, provocative and unflinching. In Rising, he presents a quartet of solo pieces showcasing his remarkable capabilities, from razor-sharp precision and enviable poise to mesmerizing agility. In this performance, he presents solo pieces showcasing the inventive choreography of the U.K.’s most thrilling dance makers: Sidi Larbi Cherkaoui, Akram Khan, Russell Maliphant and Odedra himself.